The phrase “The beautiful game” has been attributed to one of football’s greatest ever players, the Brazilian striker Pele. 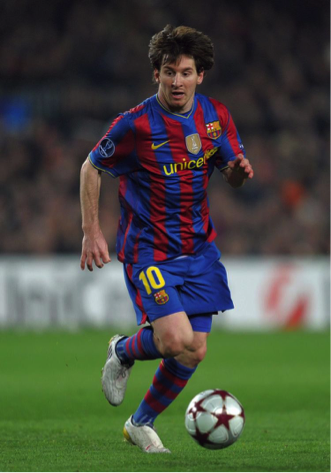 He described football as Jogo bonito", meaning “The beautiful game” . Pele played the game with integrity, passion and joy and as a lifelong-obsessive of this wonderful sport, I sense this beauty too. Throughout the history of football, players like Pele, Lionel Messi and Cristiano Ronaldo have been the game’s superstars and their team’s most valuable assets. They put the ball in the back of the net. They are the marksmen, the goalscorers, the finishers, the match-winners. Players like Messi and Ronaldo convert the work that they and their 10 teammates do into a meaningful resolution - goals. These two men are exceptional at it too: Ronaldo scored 451 goals in 438 appearances at Real Madrid. Messi has scored 585 goals in 668 games at Barcelona. Messi and Ronaldo’s incredible ability to finish translates into the only important statistic in football – the number of matches won. Winning matches delivers success for the teams they play for. Since Messi’s Barcelona debut in October 2004, they have won 9 Spanish League titles, 4 Champions League trophies and 3 Club World Cups. Ronaldo had an equally impressive record at Real Madrid and Manchester United between 2003 and 2018; 4 Champions League trophies, 3 Club World Cups, 2 Spanish League titles, 3 Premier League titles, 1 FA Cup & 2 League Cup trophies. 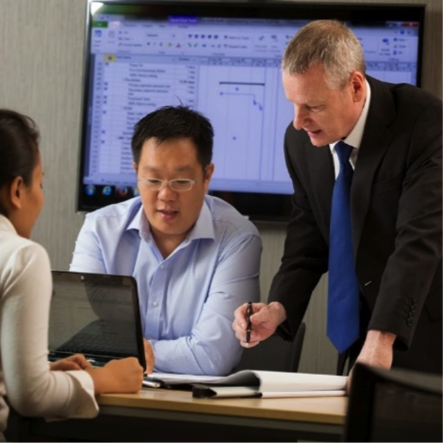 Commissioning gives construction project teams the ability to finish precisely. It enables them not just to safely deliver a built asset on-time and on-cost, but to handover a facility that functions correctly from the perspective of the people that use, manage, operate & maintain it. It is important to understand that commissioning is not just a set of site-based activities undertaken by people using spanners, Allen keys and screwdrivers. It is a quality assurance process that begins pre-design and finishes post-handover. At project inception, commissioning requires clients and their project teams to define the outcomes that need to be achieved. They then need to establish the plan-of-action for achieving these outcomes. 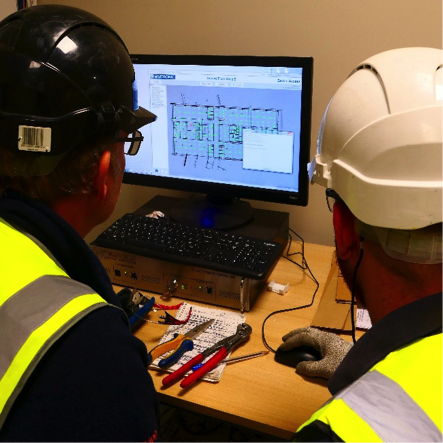 As the project makes its way through the subsequent stages of delivery, they need to continually verify and document that everything being done will enable these outcomes to be achieved – whether this be a contractual, commercial, design, specification or programming activity. This means that a correctly executed commissioning process requires two completely different, but intimately related, sets of skills. The first specialism is the ability to establish and then manage the overall commissioning process – let’s call this Commissioning Management. The second specialism is the ability to physically validate system & building performance – let’s call this Hands-on Commissioning. These two interwoven elements of commissioning are both about finishing; firstly by establishing and orchestrating the strategic game plan and secondly by performing on the pitch during the match. The relationship between great finishers and successful teams is a fundamental principle of football, as it is for project delivery. Impressive statistics for passes completed, tackles made or metres run are okay, but without the end product of goals scored and victories attained, they are meaningless. No team has ever had success without having a player to score goals. No building has ever truly been successfully delivered without it having been properly commissioned. In the 2003/2004 season, Arsenal’s mythical “invincibles” won the English Premier League as an unbeaten team; Thierry Henry scored 39 goals in 51 matches for them. When Brazil won the FIFA 2002 World Cup, their striker Ronaldo de Lima was the tournament’s top scorer with 8 goals He also scored both goals in the 2-0 victory over Germany in the final. Didier Drogba scored in all four of Chelsea’s FA cup victories between 2007 and 2012, including 3 match-winning goals. He also scored the late equaliser and the match-winning penalty in Chelsea’s 2012 Champions League final victory over Bayern Munich. Munich completely outplayed Chelsea in this 2012 final. However, they could not finish and therefore lost the match. They also had the same scenario in the 1999 final against Manchester United; two extra-time goals scored by Teddy Sheringham and Ole Gunnar Solksjaer won the match 2-1 for United after Munich had dominated the match. This illustrates another principle of success – the great players and the most successful teams do their best work when in counts most, in the pressure situations, in the games that really matter. This work involves scoring goals, but it also involves saving shots, defending attacks and creating the goalscoring opportunities. It requires a game strategy and teamwork. Structural professionals are the central defenders, the base upon which everything else is built. These could be Booby Moore, Franz Beckenbauer or Fabio Cannavaro, who captained England, West Germany and Italy to World Cup success. Liverpool’s Virgil Van Dyk is a great example amongst current players. Building Services Engineers are the wing-backs, they run the channels between the architectural elements and the structure. The legendary Brazilian duo of Cafu and Roberto Carlos are great examples. As are the World Cup winners Paolo Maldini of Italy and Philp Lahm of Germany. "Why would any project team want to do all the briefing, design, costing, programming, procurement & installation work and then not be able to finish properly – to deliver a correctly performing building to the client?" 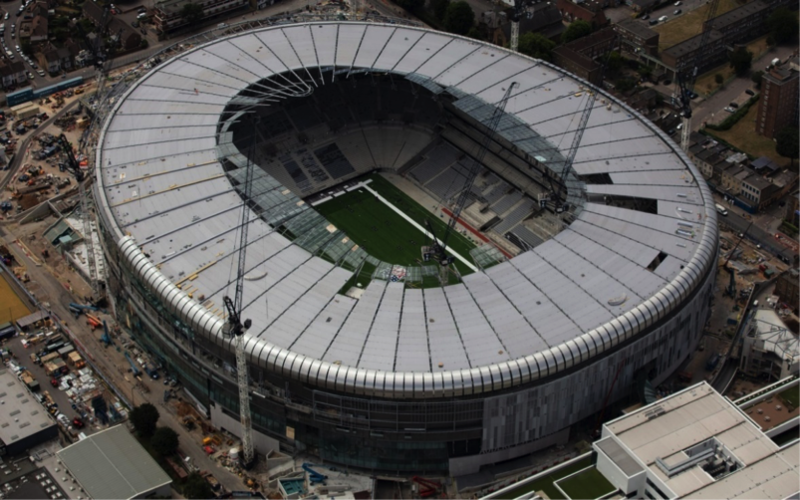 The different threads of this article are intricately woven together in a major project that is taking place in London – the construction of the new 62,000 all-seater football stadium for Tottenham Hotspur. We shall now seek clarity in respect of building test schedules and test event dates and provide further information on these in the next two to three weeks." It is currently envisaged that the stadium will not host any matches before the current football season finishes in May 2019. As a consequence of this inability to finish, there has been huge disruption and embarrassment to Tottenham Hotspur Football Club, the reputation of the construction project team has been damaged, and the final project cost continues to escalate. And yet, as with many construction projects, it appears to me that it could all have been so different. If its resolution had been an inherent part of the project from the outset, the focus on finishing had been continuously maintained and the right finishers were in place at the right time, the trophy would have already been held aloft. 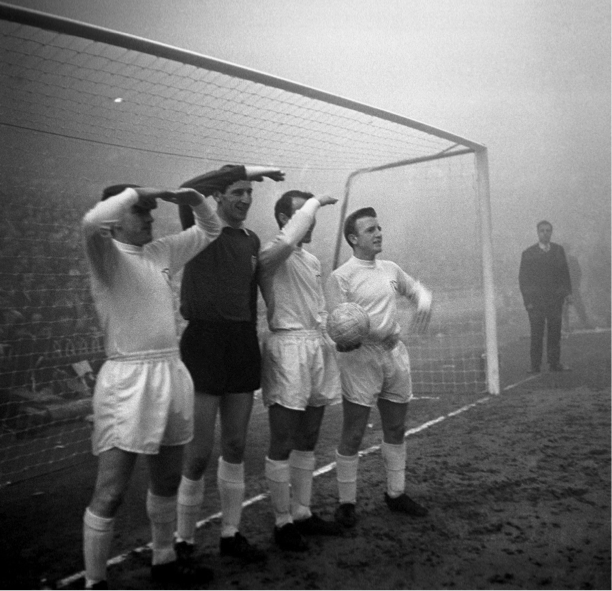 Unfortunately, the team have lost sight of the real goal and the finishers in the team appear to have two left feet.